Want more news just like this? 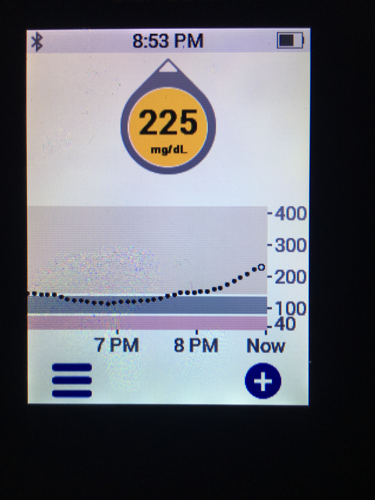 Continuous glucose monitoring (CGM; for background info, click here) use is growing, with an estimated 1.2 million users globally and two systems now available that require NO fingerstick calibration: Dexcom’s G6 and Abbott’s FreeStyle Libre. Following FDA clearance in March, Dexcom’s G6 has begun a limited launch, with wider US availability starting in early June. (Click here to learn about Dexcom’s upgrade program for current G5 users.) The G6 has already been filed with Medicare, with a decision expected this fall. Outside the USA, G6 is expected to launch in the second half this year, likely starting in Europe. The G6, like other CGMs, must be prescribed by a physician, and it is covered by most private insurance plans. Relative to using fingersticks – which the vast majority of people with diabetes still do – G6 is a truly transformative technology for personal diabetes learning, greater safety, more discretion, and therapy adjustments. We are both lucky to be part of the G6 limited launch, and this test drive includes observations from wearing the system over the past two weeks. We share what we like and what we would love to see improved in the most anticipated product in Dexcom’s history. As with any test drive, your mileage (and opinions!) may vary. Combined, we have worn CGM for over 150,000 hours, so we have seen quite a lot! Overall, G6 improves on many fronts over G5, particularly the outstanding new one-button sensor inserter (applicator), strong accuracy without any fingerstick calibrations (maintaining a short two-hour warmup period), an extension to 10-day wear, a slimmer on-body Bluetooth transmitter, and clearance for use with other diabetes devices under an exciting new FDA pathway. Compared to the G5, which had 7-day sensor wear, the G6 is expected to be more economical due to the longer 10-day wear (for reference, the out-of-pocket cost for a box of four G5 sensors is $349). Of course, no device is perfect, and G6 can still improve – the startup process “code” entry is a bit clunky (and photo scan did not work for us, but we never had issues with the G5), we had some issues with 10-day sensor wear, and the heavy-duty, more durable touchscreen receiver has moved away from the sleeker G4/G5 first-gen receiver (though we’re both using our phones, as presumably most will). Read our topline thoughts on G6 below, and then click in the table of contents for a more detailed dive and lots of pictures. Send us your questions here, which we’ll answer in a follow-up article, including comparison to FreeStyle Libre and Medtronic Guardian Sensor 3, and more. 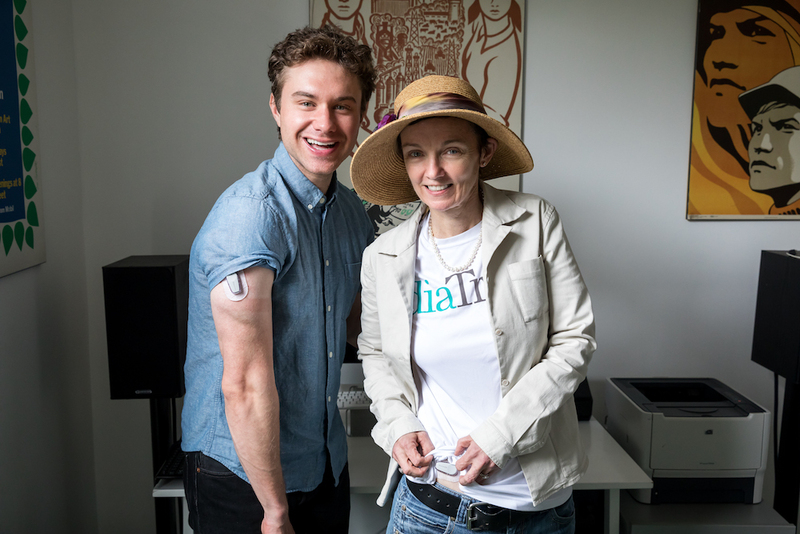 The incredible new one-button applicator: it makes sensor insertion far less painful (Kelly is very pain-sensitive and she loves it) and less intimidating, enables simple one-handed insertion (especially for arm-wear, which isn’t yet officially approved, but which Adam loves), and should be easier to train. It also likely contributes to better day 1 accuracy. No fingerstick calibration with a short two-hour warmup: G6 completely eliminates fingersticks, but still gives the same real-time, continuous glucose readings as G5 every five minutes. An optional fingerstick calibration can be entered in cases of sensor inaccuracy. Similar accuracy to G5 in our head-to-head comparisons. Relative to 79 Accu-Chek Guide fingersticks, Adam’s G6 has had an average relative difference (deviation) of 13.6%, similar to 13.9% for a simultaneously-worn G5. G6 is also more reliable on day 1, particularly right after insertion – that is very welcome news. Longer 10-day wear reduces the number of insertions and warmup periods. 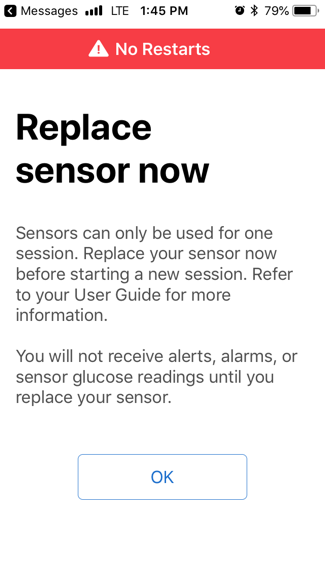 Importantly, the sensor has an FDA-mandated shutoff and cannot be restarted once the 10 days are up. We tried; the app can actually detect a sensor restart and prevents the two-hour warmup from completing. This is unpacked in detail below. No acetaminophen (Tylenol) interference, a long-awaited upgrade. This is particularly fantastic news. More consistent Bluetooth connectivity, at least in our early tests (20-foot range). G6 apps for Apple iOS and Android and smartwatches are available at launch – unprecedented for a brand-new CGM, where there is typically lag time between phone operating systems. 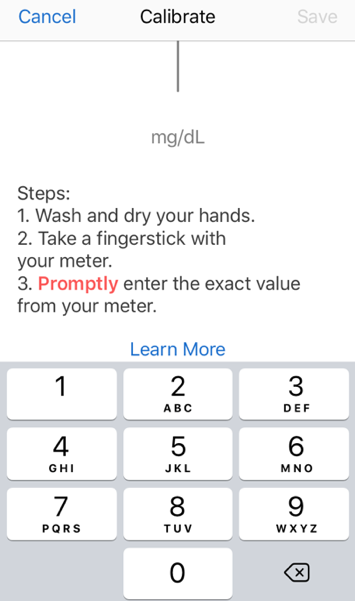 Data is automatically uploaded to the nice Dexcom Clarity software for viewing online or on separate Clarity Mobile apps (Apple, Android). Urgent low soon alert notifies if you are expected to be less than 55 mg/dl within 20 minutes. This predictive capability adds to the usual low threshold alarms. Kelly loves this and for better or worse has benefited from it multiple times already! FDA clearance for interoperability (ability to use with other devices that “talk” to the G6) should allow pumps and other devices and apps to more quickly integrate G6 and keep pace with future Dexcom CGM innovation. We’ll return in a follow-up piece with more on this. A “calibration code” must be entered/scanned when starting a new sensor. The photo scan did not work in our 25 attempts, requiring manual four-digit code entry. This is a worthwhile tradeoff to eliminate fingersticks, but it could become more seamless (e.g., like Abbott’s FreeStyle Libre, which requires no code). Sensor reliability over 10 full days: Kelly’s first sensor fell off after 24 hours, while Adam received a “Sensor Error” message and unreliable data on days 8-9. On his second G6 sensor, Adam did see errors over 20% regularly on days 9-10. Kelly tried putting her second sensor on her arm, but it got “ripped off” (she attributes that to user error); the third sensor (back on her abdomen) seemed to work very well. For many users, the inability to restart G6 and extend beyond 10 days is a problem – especially those paying out of pocket for CGM. We address this decision below – we feel it’s a positive and whether or not it’s “possible” to restart G6 – we’d like that conversation to be over! G6 app user interface has shrunk some of the most useful information and muted some colors, making it slightly harder to quickly read the current value and to understand 24-hour trends (i.e., when phone is turned sideways). This seems more noticeable on smartphones with smaller screens (e.g., iPhone SE). The receiver has gotten meaningfully larger and more medical-device-looking. Though it is more durable, it is by far the least consumer-feeling part of G6. At launch, the receiver must be purchased, although many people will just use the phone apps exclusively. The reusable transmitter still lasts for three months, maintaining the reordering hassle some have experienced with G5 transmitters. Moving to a fully disposable on-body component will be a welcome change. The new applicator creates a lot of plastic waste (“throw this whole thing away?”) and there is no recycling program available at this stage. Relative to the previous syringe-like manual inserter, G6’s automatic one-button applicator brings a serious improvement. Each sensor comes pre-attached to the applicator. 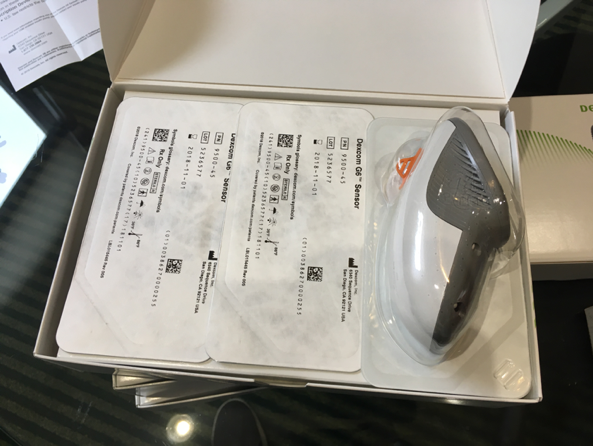 To insert it, a user peels the tape off, sticks it on the skin, folds/breaks off a safety guard, presses a button to insert it, and then lifts the applicator off the skin. Adam and Kelly read the quick-start guide and easily inserted G6 on their first attempts. Watch Adam do it on video here. Both Adam and Kelly were impressed with how much less painful the new inserter is: the needle goes in and out very quickly and is completely hidden from sight. Kelly winces every time she puts on a G5 sensor and avoids changing sensors due to the pain. She is now very excited that the new applicator makes sensor changes far less painful and much easier. The new inserter also makes G6 well-suited to one-handed insertion, a plus for those who plan to wear it on the back of the arm (Adam’s preferred wear location). Note: This is currently a non-FDA-approved wear location, but G5 and G6 work just fine on the arm, though sometimes tend to under-read “true” glucose in Adam’s experience. The biggest downside to the new applicator is how much environmental waste it creates – it’s fully disposable and there is quite a lot of plastic. Dexcom does not have a recycling program at this time, though we hope one is added. Diabetes products create a lot of environmental waste already – drug labels, wrappers, infusion sets, strip vials, batteries, etc. – and we hope all future devices keep the environment in mind. Obviously, this creates challenging tradeoffs for companies, since improving products and reducing waste can be mutually exclusive. G6 is a no-fingerstick-calibration sensor, similar to Abbott’s FreeStyle Libre. 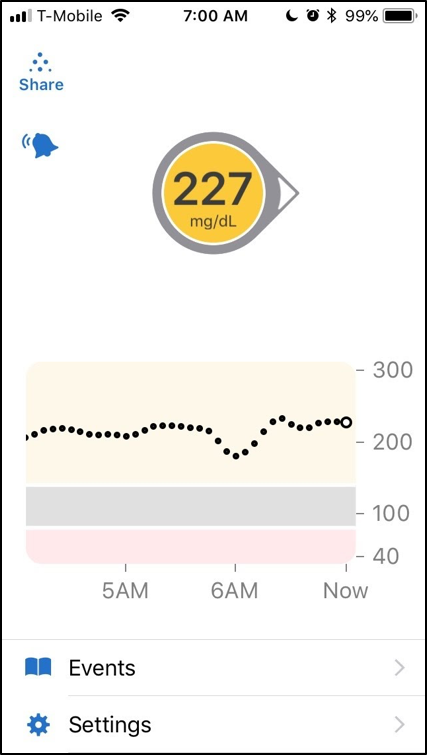 After insertion and a two-hour warmup, G6 immediately begins displaying real-time CGM values and trend arrows – no fingerstick entry is required at startup or over the course of the 10-day wear time. The startup process is reminiscent of how calibration codes used to be on a vial of strips – e.g., enter “code 25” when opening a new vial of strips. In this case, each 10-day G6 sensor comes with a unique four-digit numerical code that must be entered into the app/receiver before starting the two-hour warmup. 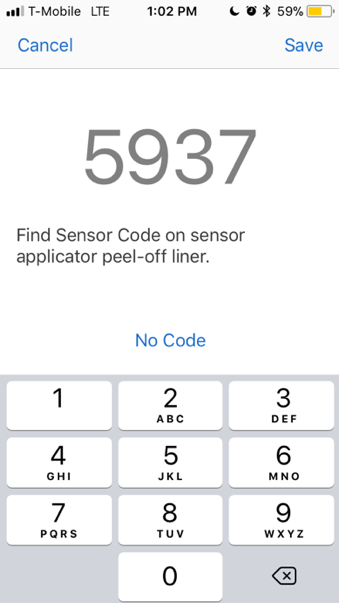 On the G6 app, the four-digit sensor code can be entered via photo (QR code scan) or manually typed in. 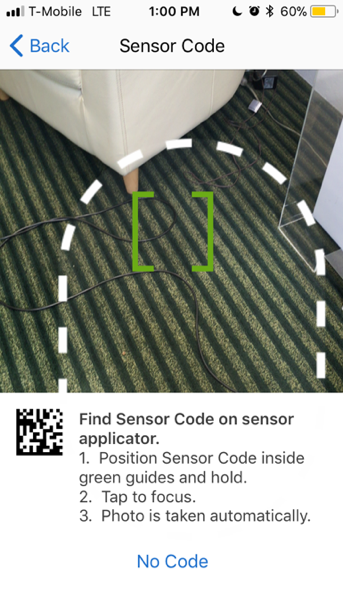 We could not get the app to photo scan the sensor code, despite trying 25 times and on three different sensors. In this case, the app allows manual keyboard input. (Interestingly, the transmitter serial number photo scan did work perfectly.) We hope Dexcom improves the code scanning process. For those using the receiver, the code can only be entered manually by scrolling up/down. Kelly thinks the manual code entry is a bit more of hassle than Adam does (“I’ve worn Libre much more than you have!”). Of course, doing this once every 10 days is not that much hassle, and the tradeoff is well worth it for no fingersticks – no question! If the sensor code is lost, a user must calibrate with fingersticks quite a bit: twice after the two-hour sensor warmup is complete, a third time 12 hours later, a fourth time 12 hours after that, and then once every 24 hours. 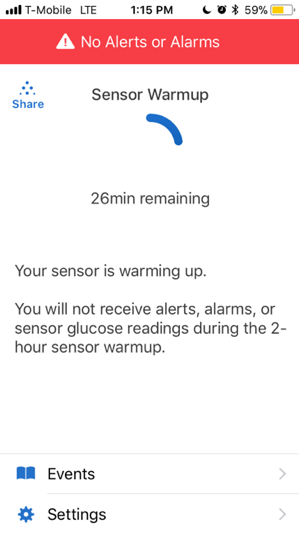 Relative to FreeStyle Libre’s factory calibration, Dexcom’s G6 is not quite as seamless – each individual G6 sensor code must be scanned or entered before warmup, while FreeStyle Libre requires no such entry (the sensor is simply scanned with the reader and starts the warmup). However, based on the labels, G6 is a more accurate device. In the big move to eliminate fingerstick calibration, G6 appears to maintain the accuracy of G5 in our experience – and on day one, the sensor performance seems much better. For this test drive, Adam wore G6 and G5 head-to-head at the same time, once over 10 days on his abdomen and a second time over 10 days on his arms. Relative to 79 Accu-Chek Guide fingersticks, G6 has had an average relative difference (deviation) of only 13.6%, similar to 13.9% for the simultaneously-worn G5. Of the 79 comparison fingersticks Adam took, G6 was displaying a corresponding real-time value in 96% of cases, while G5 showed a value in a lower 85% of cases. According to G6’s official user guide, the sensor has an average 9.0%-9.8% relative difference vs. laboratory blood glucose values. For context, this means if blood sugar is 100 mg/dl on average, G6 will be off from “true” blood glucose value by roughly ~9-10 mg/dl (on average). Adam is using G6 in “real-world” use and comparing to a meter, so his relative accuracy has been lower than the “labeled” accuracy. A big improvement with G6 is on day one. After the first two-hour warmup, Adam’s first G6 reading was 127 mg/dl, while the meter read 130 mg/dl. 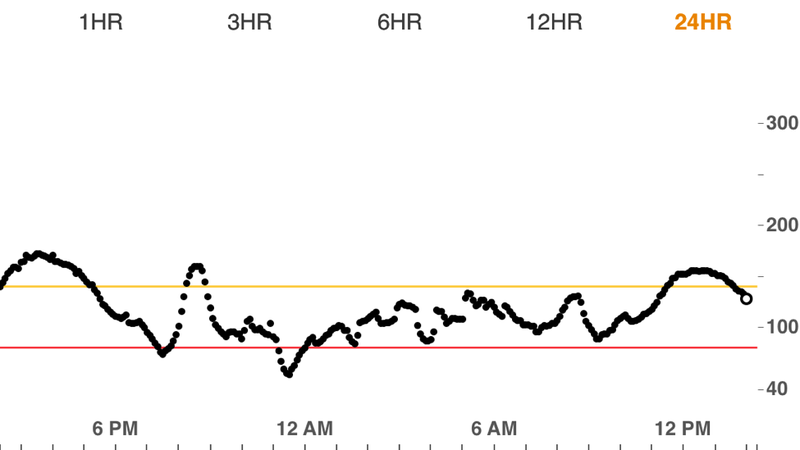 After the second sensor’s two-hour warmup, G6 read 54 mg/dl, while Adam’s meter read 58 mg/dl. On his just-started third G6 sensor, the first G6 value read 89 mg/dl vs. 88 mg/dl on the meter. G6 has also had smoother, more reliable readings than a newly inserted G5, with less jumpiness and gaps on day one. See the G6 vs. G5 pictures below for 24-hour comparisons on day one and day seven – they track very well together, but G6 eliminates the fingerstick calibrations! G6 users can enter an optional fingerstick calibration – e.g., in cases where the sensor is actually very different from the meter value. However, the app and receiver design clearly discourages doing this. The “calibrate” option is buried inside the settings menu, rather than accessible from the app main screen – see below. This is a smart way to preserve the feature for when it’s really needed, but nudge against using it. Kelly used this a lot – perhaps once a day. Adam avoided using it just to test out the no-calibration accuracy. We still have some questions on accuracy and reliability over 10 days, but this is based on our very limited experience. Adam got a “sensor error” message on days 8-9 of his first G6 wear session, which resulted in very few data points actually collected on these two days (similar to the “?? ?” symbol that would come up on G4 and G5). On his second sensor, Adam saw noticeably worse accuracy on days 9 and 10, with relative errors of 20% or more in many cases (e.g., reading more than 20 mg/dl off when the meter said 100 mg/dl). Kelly’s very first G6 sensor did fall off her body after a couple of hours on day one (adhesive failure), something she has never seen with G5 (this happened so fast that she didn’t really count this as her “first” sensor – she felt this was a fluke). After 10 days, G6 stops giving real-time readings and prompts the user to insert and start a new sensor. Relative to G4 and G5 a big change is the addition of a mandatory shutoff: a G6 sensor cannot be “restarted” to extend the wear time beyond 10 days. When trying to do so, the app recognizes it and will not allow the two-hour sensor warmup to complete. This is a complicated issue, since many people pay a lot of money for CGM and the ability to extend a single sensor’s wear time – e.g. to 14 days – makes CGM more affordable. Dexcom worked with the FDA on this issue and clearly had to make some changes. For instance, G6 achieved an important new FDA classification called “integrated CGM” (iCGM), which regulates it as a lower-risk device (class II). Ultimately, this new category will speed CGM innovation, bring improvements faster, and make CGMs easier to integrate with other devices and software (interoperability). However, the FDA also ruled that an iCGM must have a mandatory shutoff; hence, it is included in G6. Presumably this protects us against the potential for more inaccurate readings. 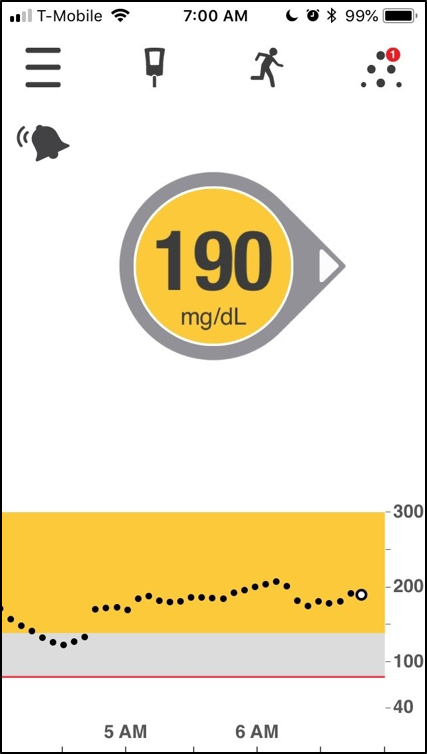 Like FreeStyle Libre (which also has a mandatory shutoff at 10 days), G6 is a no-fingerstick-calibration glucose sensor approved for insulin dosing. That puts an even higher bar on accuracy and reliability. For now, G6 has been tested and approved for 10-day wear, meaning Dexcom and the FDA cannot be assured of insulin-dosing safety or accuracy beyond 10 days. However, Dexcom does plan to do a 14-day wear trial of G6 in the second half of this year. We’d like to see an end to complaints about not being able to “extend” the system – or even whether it’s possible. It’s been decided, and we believe this decision is in the best interests of people with diabetes, the system, and providers. The Bluetooth-enabled G6 transmitter is meaningfully slimmer than G5, and should be less susceptible to getting knocked on things. The transmitter is now flush with the plastic sensor cradle, rather than rising above it like with G5. The picture below compares G5 and G6 on Adam’s abdomen. Kelly was impressed with the new transmitter, and pointed out that it returned to “more” (but better) what the transmitter used to look like with the Seven Plus and early G4; it was really G5 that made the transmitter larger with the addition of Bluetooth. Still, this is progress! Like G5, the G6 transmitter is reused for three months, at which point it is thrown away. Dexcom typically ships two G6 transmitters at a time, meaning transmitters need to be reordered twice per year for most people. 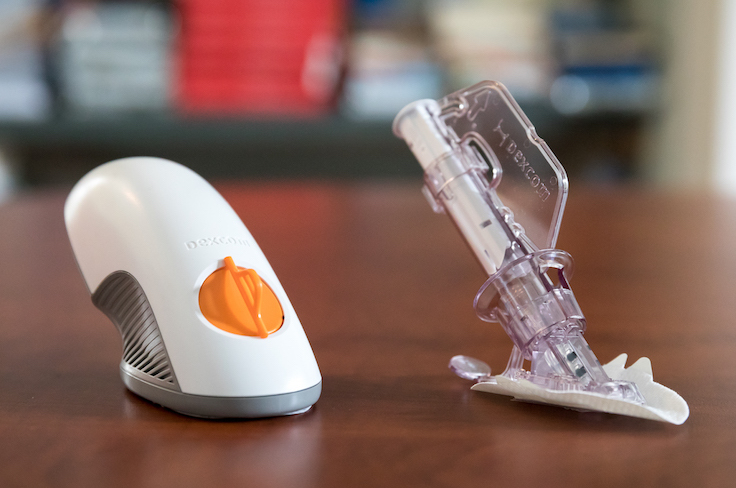 Dexcom is working on a fully disposable transmitter with its Verily partnership, though has not given specific timing on when the first-gen version might launch. 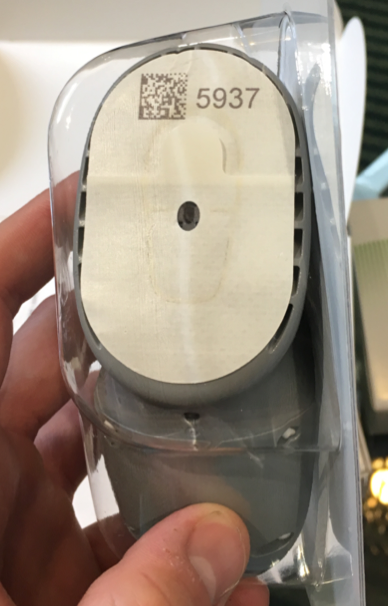 We’d guess sometime in 2019 is the earliest the first-gen Dexcom/Verily disposable transmitter could come out. It’s unclear if all Dexcom G6 users will move to the disposable transmitter, or if this will be a separate product. The G6 app has been slightly redesigned (available on Apple and Android). On Adam’s older iPhone SE, the G6 app has meaningfully reduced the size of the CGM bubble/trend arrow, and this cannot be adjusted in size. The new G6 app design also leaves more white space on the screen and mutes the colors a bit. Fortunately, this seems to be less of an issue on a larger-sized/newer smartphones. Dexcom has put a bigger focus on manually entered “events” (e.g., insulin doses, exercise), but ultimately, it’s hard work to enter them. 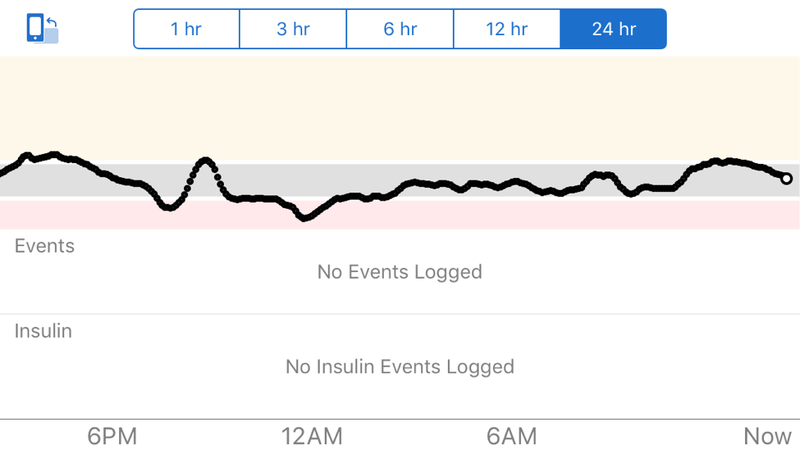 Turning the phone sideways to see the 1/6/12/24-hour CGM graph now wastes half the screen on “events” – an unfortunate change, since they will be empty for most people. Events will become more useful when they are automatically collected from a phone’s sensors or Bluetooth-connected insulin delivery devices (pumps, smart pens). 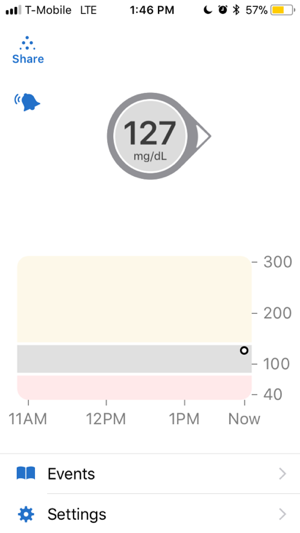 On the plus side, we’re very glad to see CGM high/low notifications are now accompanied by the actual sensor value and trend arrow on the phone’s lock screen. Previously, G5 only said “high glucose,” but didn’t actually say what the glucose value was. Adam has had issues with his G6 app occasionally quitting in the middle of the night, something he has also experienced with G5. 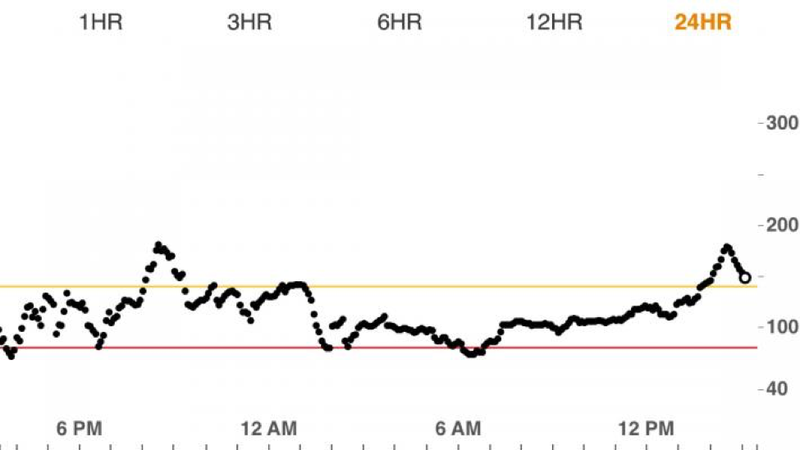 The best fix he has found is quitting the Dexcom app before bed, turning his phone off and back on, reopening the app, and putting his phone in airplane mode with WiFi turned off. The Dexcom G6 Apple Watch app is identical to the G5 version. We are optimistic that the new FDA iCGM classification will speed the availability of direct-G6-transmitter-to-Apple-Watch, meaning a user could get CGM data on the watch without a smartphone nearby. 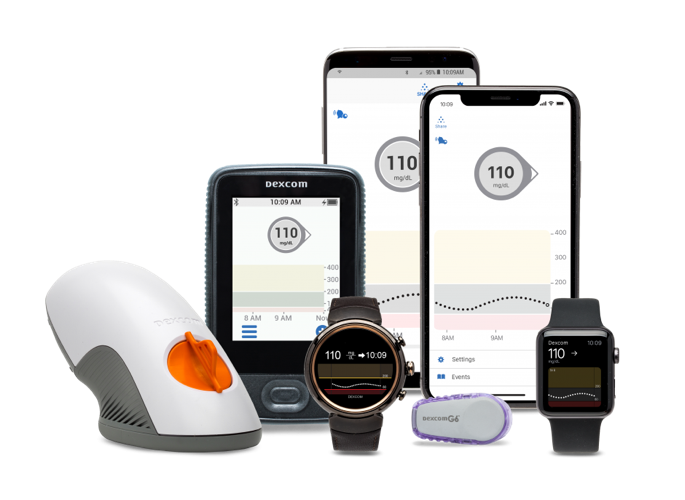 Overall, Adam doesn’t like the G6 app quite as much as the G5 (Kelly loves both) but it still retains Dexcom’s mobile leadership – it’s the only CGM in the US with Apple iOS, Android, and smartwatch apps for viewing real-time data. (A Dexcom app for Fitbit smartwatches will also launch in the second half of this year.) Abbott’s FreeStyle Libre has the LibreLink app (Android, Apple), but it only available outside the US. 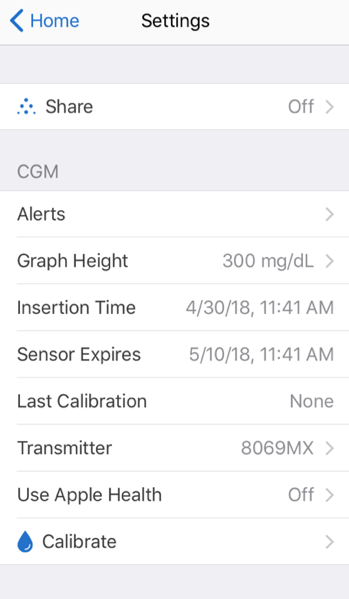 Medtronic’s Guardian Connect app is only available on Apple iOS. Medicare still does not cover CGM with remote monitoring/app use. We continue to hope to see this change. The heavy-duty touchscreen receiver moves away from the sleeker G4/G5 first-gen receiver. Dexcom did this for reliability and durability reasons – indeed, the receiver is built like a tank and should have less breakages and returns. Still, we assume most users will prefer app display. The receiver has only one button to wake it up and is otherwise touchscreen. It is not a smartphone quality touchscreen, but it is better than we expected. Hitting the home button wakes up the receiver and shows the CGM graph and value; to interact with the receiver, a user must tap “1-2” to unlock the device – similar to Tandem’s t:slim insulin pump. Like G5, users can view G6 CGM data with only the app, only the receiver, or both at the same time. The transmitter has retained the “brains” and allows for seamless switching between the displays. We found them very easy to toggle between and saw no lag between them. Dexcom is currently “putting plans in place” to file G6 with FDA so that purchasing a receiver becomes optional. 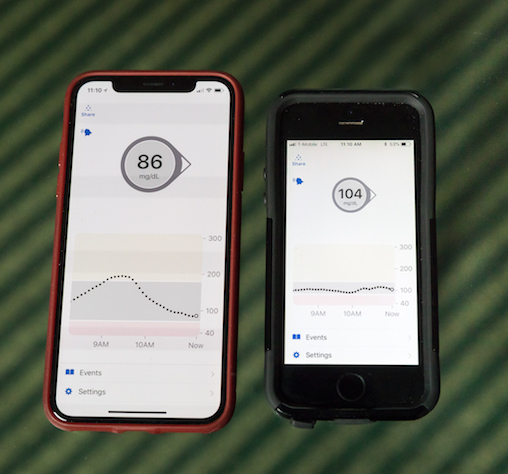 Medtronic’s Guardian Connect CGM received the first FDA approval earlier this year for smartphone-only display. Should I upgrade from G5 to G6? From G4 to G6? What should I consider? 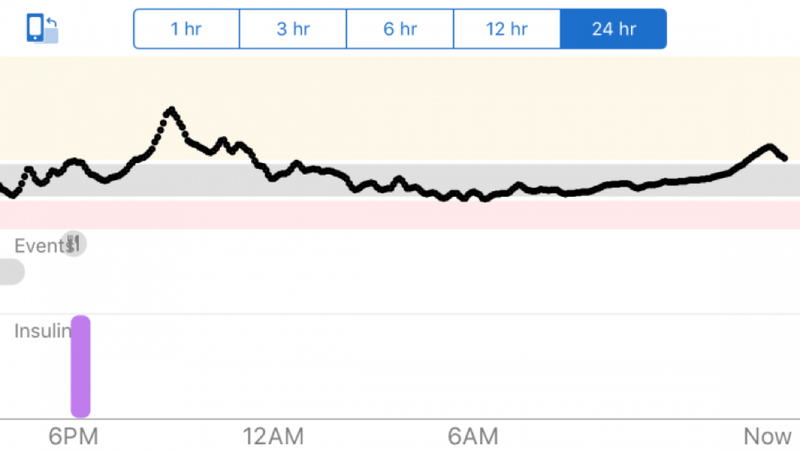 Feature comparison between Dexcom G6, Abbott’s FreeStyle Libre, and Medtronic’s Guardian Sensor 3 (Connect, MiniMed 670G)? What does the new FDA clearance for interoperability mean as an “integrated CGM” (iCGM)? 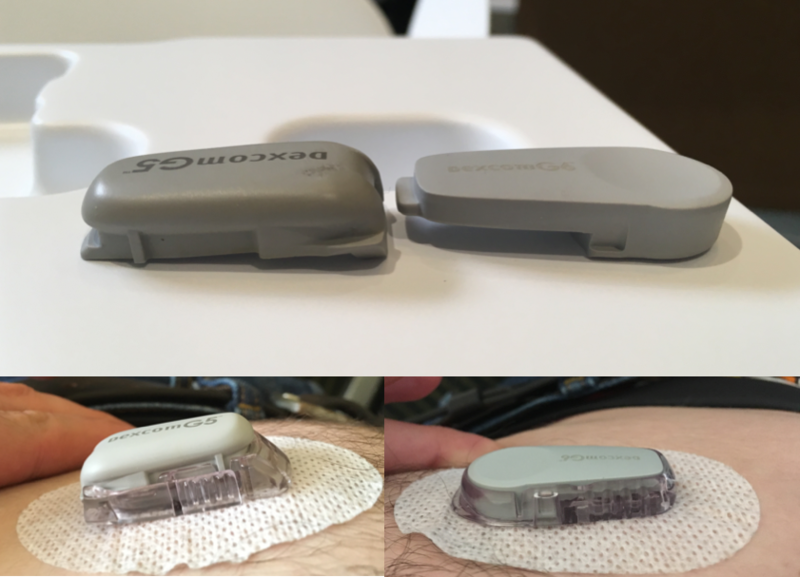 When are Dexcom G6-integrated closed-loop systems coming to market?